Most PCB manufacturers are finding the demand for multilayer boards growing rapidly due to the need for smaller, lighter circuit boards used in electrical devices, military equipment, healthcare miniaturization, etc. Multilayer printed circuit boards are perfectly used in application like smart phones and computers thanks to their compact, light weight and sophisticated functions. Besides space-saving and weight-saving, there are numerous advantages to use a multilayer from a technical point of view. a.By combining multiple layers into a single PCB, boards can add functionality. b.Multilayer PCB manufacturing process can produce high quality, reliable end products. c.Multilayer board provide high capacity and speed with a small footprint through its inherent electrical features. 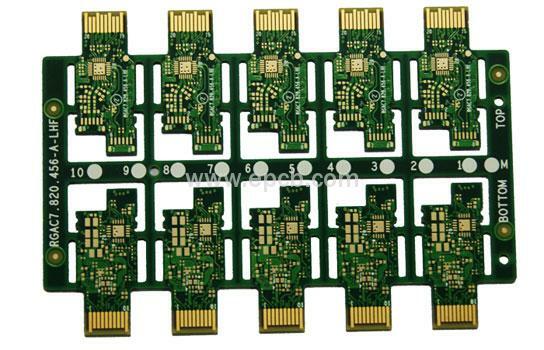 e.Reduce or eliminate the number of connectors required for multiple separate PCBs, thus can simplify construction and reduce weight. f.Multilayer PCBs can be made of rigid and flexible structures. In spite of this, the more layers included in the flexible printed circuit board, the poorer the flexibility. a.One of the major negative aspects of designing multilayer PCBs is its high cost. Specialized process is required to make these boards, so manufacturers need to invest significant capital to provide these services. This makes multilayer boards cost more than traditional single-sided or double-sided boards. b.The compactness of multilayer boards causes design issues such as crosstalk and impedance problems. c.As functions increase, a single PCB needs to be tested more extensively. Due to the complexity of the manufacturing process, the manufacturing cycle may also be longer. d.Repairing a multilayer PCB can be very difficult and may not even be possible. This makes unqualified multilayer boards costly as it may need to be completely replaced.